Bore Tech’s BORE BRITE™ Illumination System is an innovative bore light source that allows shooters to quickly assess bore condition, inspect trigger groups, and illuminate dark, hard to reach areas. 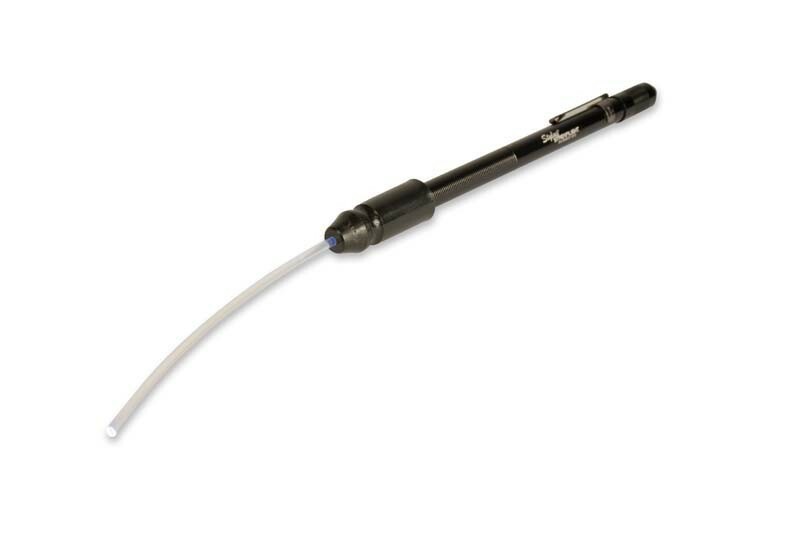 The Bore Brite Illumination System comes complete with Streamlight Stylus LED light pen, magnetic and fiber optic nosecones, tip protector and storage case. 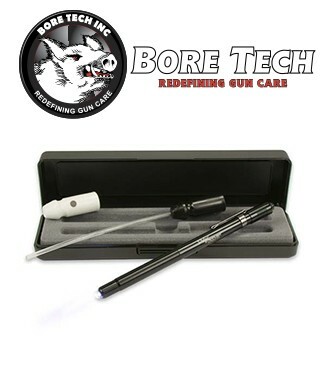 Bore Tech’s BORE BRITE™ Illumination System is the original and innovative light source that provides convenient, hands free capability for close examination of the many dark, hard to reach and hard to see areas typically found in firearms. 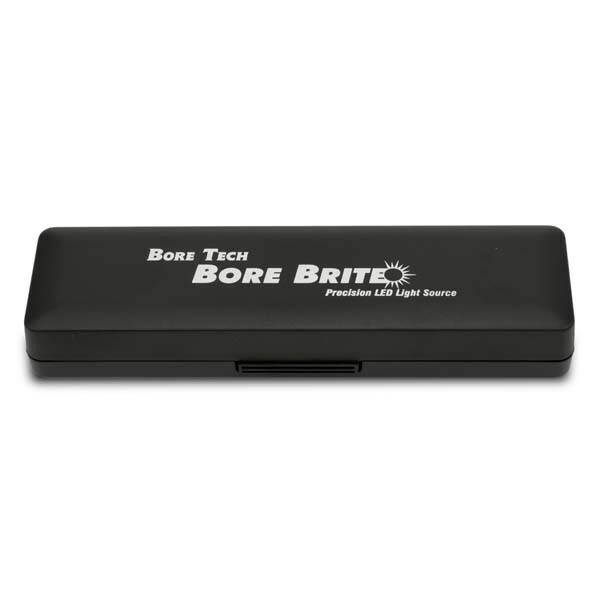 The Bore Brite Illumination System comes with two interchangeable nosecones engineered to enhance the light output produced from the Streamlight Stylus LED light pen and improve viewing capabilities. 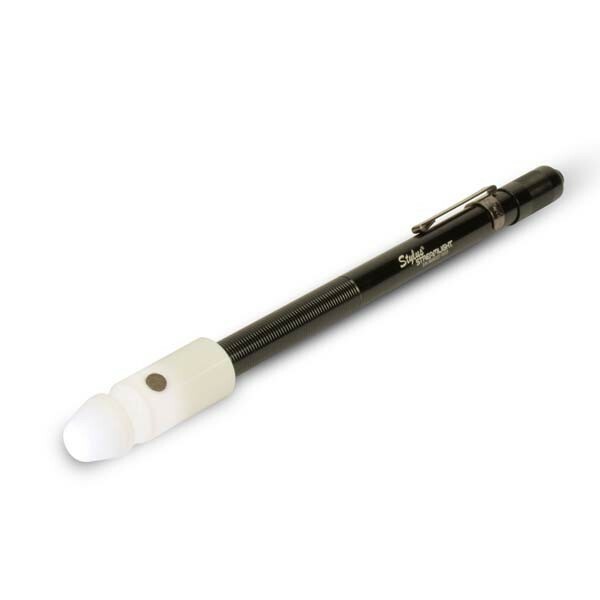 The white nosecone slips over the tip of the light pen softening and focusing the light on the barrel walls. This aids in viewing the inside of the barrel by clearly illuminating the bore and not blinding the user. Now the bore condition can be quickly, easily and comfortably assessed for bore obstructions, debris, or imperfections. In addition, a small and powerful rare earth magnet on the side of the nosecone holds the Bore Brite securely in the action for hands free operation when looking down the bore. The Black nosecone features a 3mm diameter, 5 inch long, flexible fiber optic cable that allows the projection of bright, white light into any tight, enclosed area such as cartridge cases, trigger assemblies, bolt interiors, etc. 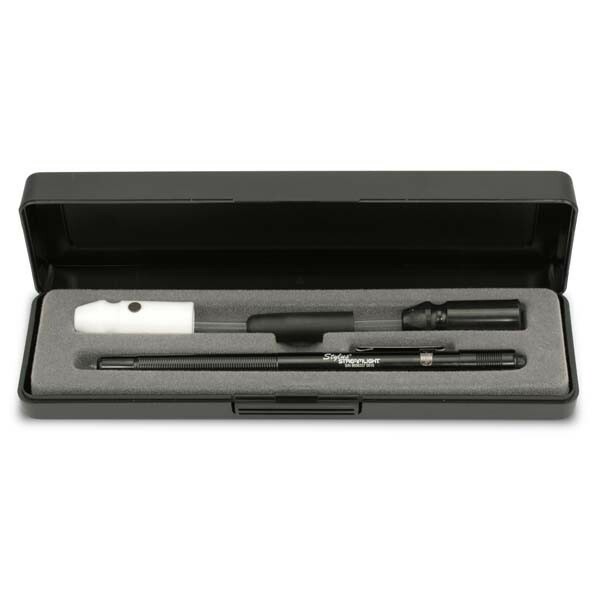 The Bore Tech Bore Brite comes complete with a Streamlight Stylus LED light pen, batteries, white and black nosecones, black tip protector, custom felt lined plastic storage case and use instructions.